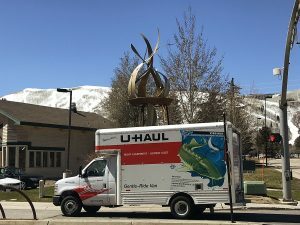 A vehicle was left with its engine idling for more than two hours outside a Sundance Film Festival venue on the last day of the festival, the Park City Police Department said, a case that is noteworthy for the length of time the engine was running. Somebody with the festival contacted the police at 1:49 p.m. on Sunday from outside the Eccles Center, the largest Sundance screening room. Phil Kirk, a police captain, said a blue 2016 BMW sedan was seen idling in the parking lot for more than an hour. The doors were locked and nobody was inside, he said. A police officer responded to the scene and waited for the driver. The driver, a 75-year-old woman from Salt Lake City, returned, telling the police she did not intentionally leave the vehicle idling, Kirk said. He said the vehicle idled for more than two hours between the time it was seen and the woman returning. A police officer issued a ticket under a state law prohibiting unattended vehicles left with the engine running, Kirk said. He called the situation an "extreme example of a violation." A typical idling case in Park City involves an engine left running for between five and 10 minutes, Kirk said. 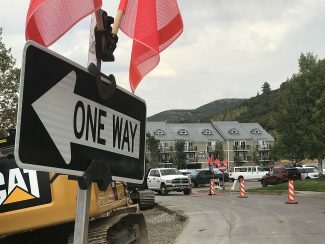 The Police Department early in the winter stepped up enforcement of City Hall’s prohibition of idling vehicles, a law that is meant to advance Park City’s environmental efforts. Kirk said the woman was cited under state law rather than municipal law since the vehicle was left unattended, creating a dangerous situation.